Your oppenent cant use any cards for the rest of the game. 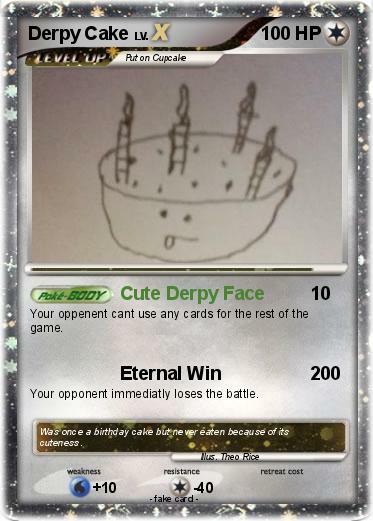 Your opponent immediatly loses the battle. Comments : Was once a birthday cake but never eaten because of its cuteness.